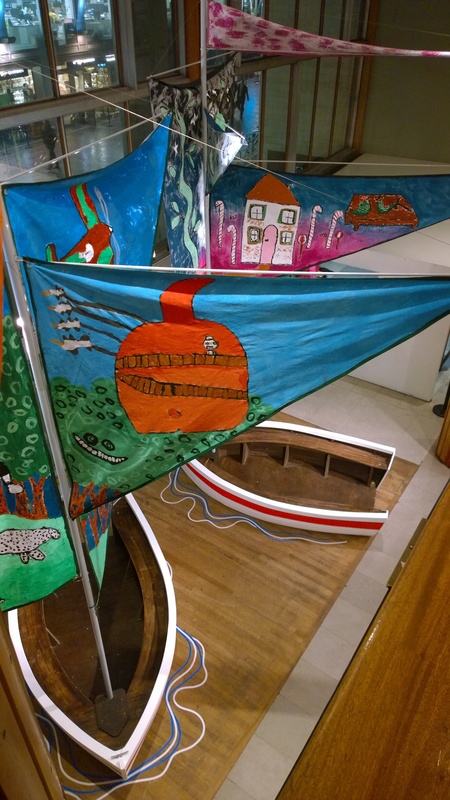 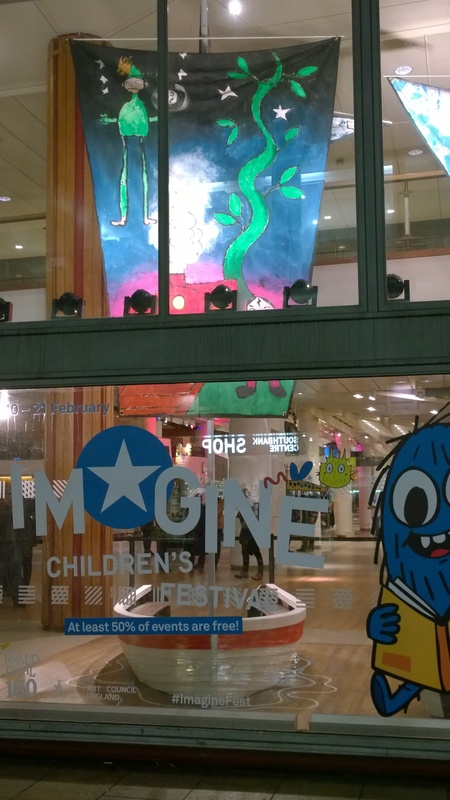 For this year’s Imagine Festival (February 2016), I worked with the “Mini Festival Makers Site Design Team” (aka a small group of ten-year-olds from Heathbrook Primary) to create an installation for the Festival Hall foyer area of three story boats. 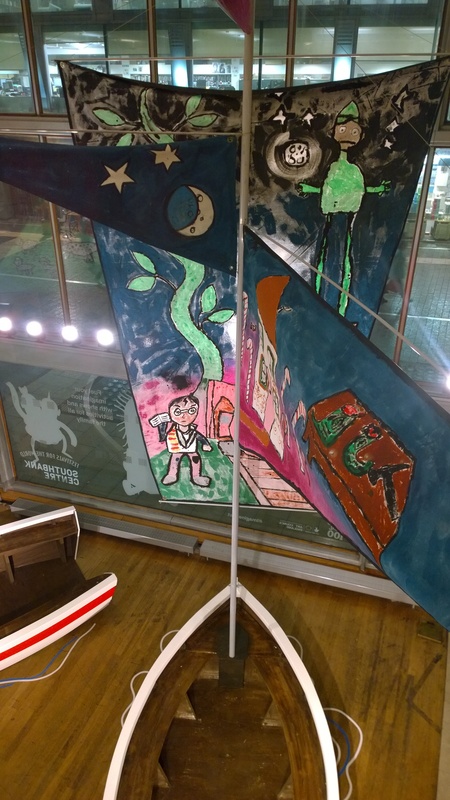 The painted sails depicted characters from beloved books, themed around a “Morning Boat” of toddler stories, a “Day Boat” of fun and adventure stories and a “Night Boat” of magic and fairytales. 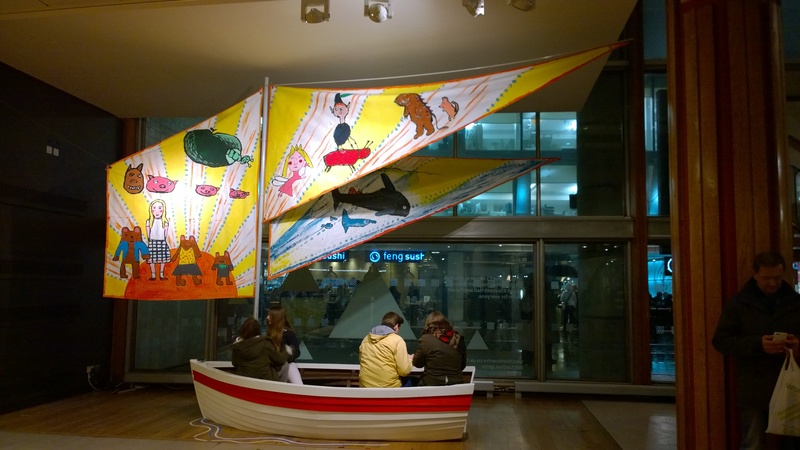 The resulting structures were as popular with adult visitors as with the children they were designed for.